Sept. 28, 2009, EL SEGUNDO, Calif., Boeing has completed developmental system testing on the U.S. Air Force's Global Positioning System (GPS) satellite ground control system, known as the Operational Control Segment (OCS), for the addition of a critical new security capability. The test demonstrated that the Selective Availability Anti-Spoofing Module (SAASM) software upgrade meets all contractual system requirements. SAASM is designed to protect GPS receivers against fake satellite signals sent by adversaries. "The completion of these tests continues the program's outstanding performance record and demonstrates the benefits of our continuous-improvement program," said Craig Cooning, vice president and general manager of Boeing Space and Intelligence Systems. "The team's emphasis on system integration and risk reduction provides the Air Force with high confidence in our ability to continue to meet the GPS mission and maintain the 100 percent system performance we have delivered since the new OCS went operational in 2007." Boeing is now working with the Air Force in the operations suitability test phase to verify the software is ready to fly the constellation, and is incorporating final operator-requested changes with the goal of providing operational capability of the new security measures later this year. Also, using GPS IIF Space Vehicle 2 on the ground at Cape Canaveral Air Force Station in Florida and connected to the OCS at Schriever Air Force Base in Colorado, Boeing and the Air Force have successfully completed the first in a series of combined system tests that verify the OCS and GPS IIF space vehicle work together to perform the GPS missions. Enabling SAASM within the OCS will deliver a new mission capability to the GPS constellation and synchronize space, control and user equipment for military implementation. The OCS keeps the GPS system operational within specified accuracy to perform global civil, commercial and military operations. 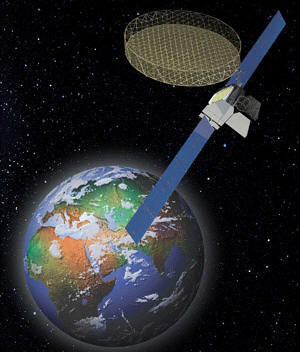 Assisted by Boeing, the Air Force began transitioning satellite operations from the previous system in September 2007. The conversion was completed in three phases without any service interruption.